Today would have been my Nanna’s 96th birthday. She passed away on the 2nd of February this year, four days before I was due to arrive in New Zealand to see her. She was born Myrtle Jean Louisa McGonnell in Lepperton, Taranaki, New Zealand on April 4th, 1915, the only child of George Tunnecliffe McGonnell and Naomi Myrtle Florey. She was always known as Jean (though the kids at school used to call her ‘Mac’). 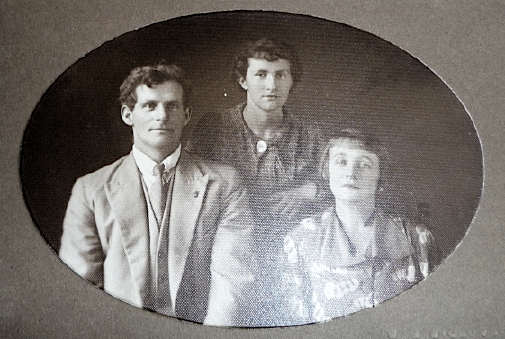 She married my grandfather George Alexander Wright on November 16th, 1940 in New Plymouth, Taranaki. 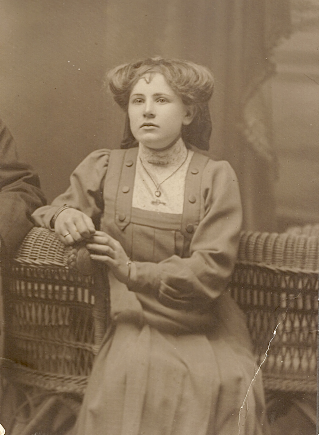 They lived in Hawera, Taranaki, and brought up two children there, one of them being my mother. 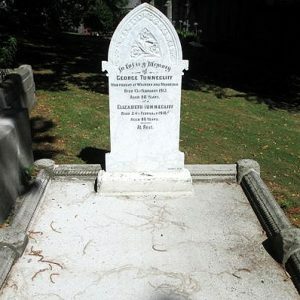 George died in 1986, and several years later, Jean moved down to Paraparamu on the Kapiti Coast to be near my mother. She remarried at the ripe old age of 90, and her and her husband celebrated their fifth wedding anniversary and 95th birthdays together last year. New Zealand, birth certificate for Naomi Myrtle Florey; 04 Feb 1892, Waitara citing 1892/1422, Births, Deaths & Marriages, New Zealand. 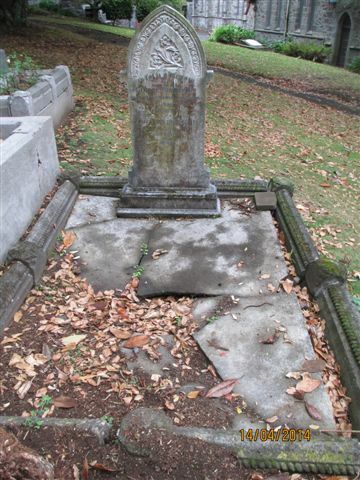 South Taranaki District Council, “Cemetery Register,” http://public.stde.govt.nz/cemeteries/, accessed: 03 Nov 2010. New Zealand, marriage certificate for George Tunnecliffe McGonnell & Naomi Myrtle Florey; 24 Feb 1924, New Plymouth, Taranaki; citing 1914/9563, Births, Deaths & Marriages, New Zealand. New Zealand, death certificate for Hannah Elizabeth Florey; 09 Mar 1907, Auckland; citing 1907/218, Births, Deaths & Marriages, New Zealand. New Zealand, marriage certificate for Henry John Forrest Florey & Annie Horne; 10 Mar 1885, Auckland; citing 1885/65, Birth, Deaths & Marriages, New Zealand. Matrilineal Monday is an ongoing series at GeneaBloggers.